Organised by The Caterer and open to professional sommeliers and waiting staff working in the UK, winning a Sommelier Of The Year award is widely regarded as the British wine industry’s premier accolade. 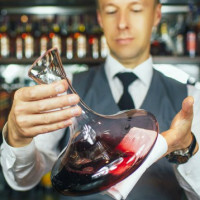 Candidates are judged on their wine and drink expertise as well as their ability to deal efficiently and knowledgeably with customers by demonstrating exemplary front of house skills. 2018 is the first year that the awards have partnered with Taittinger – one of the last great independent champagne houses owned and managed by the family named on the label. Taittinger brings a wealth of experience and prestige to the competition, whose past winners number some of the industry’s leading lights, including Gerard Basset and Xavier Rousset. Last year, head sommelier of The Five Fields restaurant in south-west London, Mathias Camilleri, impressed the judges with his breadth of wine knowledge, confident performance and ability to control the stage under the significant pressure of the live final. After the great success of the original Indian Accent which opened in New Delhi in 2009 to much acclaim (including being the only restaurant in India on the World’s 50 Best list in 2015, 2016 and 2017), followed a New York outpost in 2016 and now a London location at 16 Albemarle Street which opened its plush doors at the beginning of this year. The inventive Indian restaurant that has pretty much revolutionised Indian cuisine has been described as “A dazzling new take on Indian food” by notoriously tough food critic Fay Maschler of London’s Evening Standard newspaper. 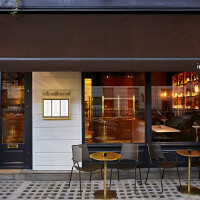 Maschler gave the Mayfair outpost of Indian Accent five out of five and described chef Manish Mehrotra’s cooking as “This is Indian food but not as we know it, Jim. It is as if a new life-giving force has entered”. The business lunch menu is something of a steal at GBP19 including a glass of wine. Now in its 73rd year and attended by approximately 30,000 people annually, La Tomatina basically involves participants hurling more than 100 tons of overripe Spanish tomatoes at each other until everyone is pretty much soaked through! Held in the pretty Valencian town of Buñol, on the east coast of Spain, La Tomatina is essentially a giant food fight held on the last Wednesday of August, which this year is the 29th. The firing of a water canon heralds the start of the tomato throwing, and exactly one hour later a second firing signals the end of the messy mayhem. There are conflicting stories about how the festival first began: some say it happened when two boys got into a fight during a parade and began lobbing tomatoes from a vegetable stand at each other. Others believe that the tomatoes were thrown to protest about an unfavourable decision by the city council or launched at a particularly bad musician! Following the close of China-Denmark Tourism Year at the end of February 2018, it’s clear that more Chinese tourists are now visiting the small Nordic country than ever before. With more than 130 billion Chinese tourists expected to travel overseas this year, there is indeed huge potential in Chinese tourism. And whilst only a few make it to Scandinavia, more and more Chinese are ending-up in Denmark. 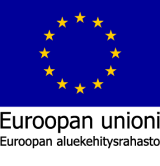 A major contributing factor is that Denmark offers a wealth of year-round activities. Denmark and its Chinese partners staging several events aimed at attracting more Chinese tourists also helped. 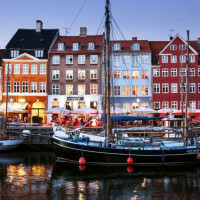 And many Chinese travellers associate the nation’s capital of Copenhagen (the epitome of Scandi cool) with the 19th century writer Hans Christian Andersen and his fairytale, The Little Mermaid, which is popular with adults and children alike. In fact, Andersen and his stories are the most searched online subjects amongst Chinese people in relation to Denmark. Established in 1899, Suntory is one of the oldest beverage companies in Japan, and since 1923 has pioneered the art of making Japanese whisky. But whisky lovers around the world may have to go without some of their favourite tipples, after Suntory recently announced that it would be suspending sales of two of its most prestigious whiskies amid surging demand. Because whilst Japanese whisky has experienced a renaissance in recent years and demand has soared, producers have struggled to sustain supplies, particularly of age-stated lines. In 2016, Suntory’s CEO Takeshi Ninami said that it could take up to a decade for Japanese whisky distilleries to meet demand from consumers and retailers. 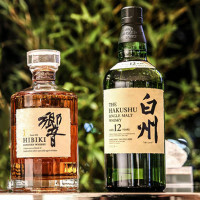 As a result, Suntory will stop selling its Hibiki 17-year-old blend (famously drunk by Bill Murray in Lost in Translation) and Hakushu 12-year-old single malt in certain markets from 2019, and drastically limit availability of these whiskies over the next few years. In its 28-year existence, the James Beard Foundation Awards have come to be recognised as the highest honours in the American restaurant community and are often referred to as the “Oscars of the food world.” This year’s gala award ceremony took place in Chicago on 7th May and was hosted by American chef Carla Hall, co-host of ABC’s “The Chew”. 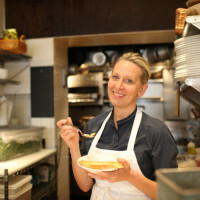 A self-trained cook turned 2018 James Beard Outstanding Chef award-winner, Gabrielle Hamilton opened Prune on New York’s Lower East Side in 1999 to great acclaim and lines down the block, both of which continue today almost two decades later, which is quite a feat for a city that eats up and spits out new restaurants with brutal efficiency. A deeply personal and gracious restaurant, in both menu and philosophy, Hamilton uses elements of home cooking and skilfully elevates them in unexpected ways. The result of her efforts is delicious food that satisfies on many levels. Part of the renowned Egyptian hotel group which operates six highly successful resorts, Stella Di Mare Dubai Marina is the first of the group’s properties in the UAE, the brand’s first international property outside its homeland and is set to open in the coming months. Situated in the heart of Dubai Marina, the hotel is surrounded by a number of the city’s buzzing business hubs and most popular attractions, which will invariably make it a destination for business and leisure travellers alike. 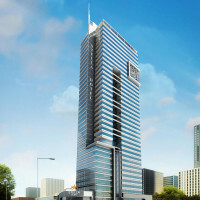 Metropolitan Jumeirah Lakes Towers is but a short walk away. Guests will be accommodated in contemporary five-star luxury in a range of 369 rooms and suites spanning 30 floors, complete with three restaurants, multiple bars, a deluxe 550m2 spa, swimming pool, gym and salon. Topping the hotel will be its signature rooftop bar, Skyland, located on the 31st floor of the building and boasting spectacular views of Dubai Marina and the surrounding area. Located in the north-western corner of the Persian Gulf, Kuwait is nestled between Iraq and Saudi Arabia, in a section of one of the driest, least-hospitable deserts on earth. 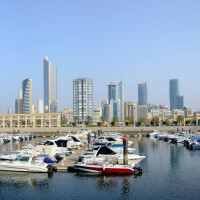 Nevertheless, the small wealthy emirate is actively developing its tourism sector as an important economic resource, in line with its New Kuwait 2035 development plan being driven by ruler Emir Sheikh Sabah al-Ahmad Al-Jaber Al-Sabah, who has a vision to transform the country into a commercial and financial center and reduce its dependency on oil. Working on developing sustainable tourism and promoting investment in the hospitality sector is already well underway, most notably in the hotel sector which has grown significantly with the establishment of a series of new projects. And Kuwait’s long-term tourism growth strategy has been buoyed by a significant growth in the number of passengers flying through KWI, prompting plans to expand the airport’s capacity to 25 million passengers. Celebrated French chef Alain Ducasse has announced that a new retail outpost of Le Chocolat Alain Ducasse will open in new King‘s Cross development Coal Drops Yard in October of this year. This will only be the third location of Ducasse’s upscale Parisian-based chocolate brand after Paris and Tokyo. Ducasse’s restaurant at London’s famed Dorchester hotel is one of only three in the British capital with a trio of Michelin stars. Treats on offer at Le Chocolat Alain Ducasse in London, including flavoured ganaches, bars and pralines, will all be made in Ducasse’s Parisian workshop, which is located off a cobbled courtyard in the centre of the French capital. 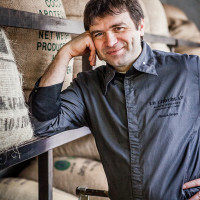 It is at this chocolate factory in the heart of Paris that artisan chocolate maker and executive pastry chef for all Ducasse establishments, Nicolas Berger (pictured), works with Ducasse to source cocoa beans from across the world and develop recipes. Later this year Capella will open its first ever property in Thailand: a landmark ultra-luxury hotel, located on the banks of the rejuvenated Chao Praya River waterfront promenade in Bangkok. Comprising 101 suites and villas all with water views, plus two restaurants, a bar, spa and riverfront ballroom, it’s expected that Capella Bangkok will bring a new level of luxury to the Thai capital’s accommodation sector, whilst showcasing the rich heritage of its location and delivering the service levels and authentic experiences discerning 21st century globe-trotters have come to expect. At the helm of its new property, Capella has appointed John Blanco as General Manager. 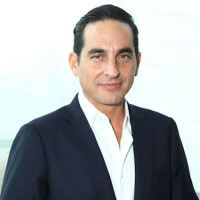 An American with roots in Venezuela, Blanco is a global citizen who has lived in various cities around the world and is a seasoned hospitality veteran with 25 years of experience, including a stellar track record with luxury hospitality companies Ritz-Carlton and Four Seasons.